Edited by Destroyer History Foundation from Naval History & Heritage Command photo NH 54645. 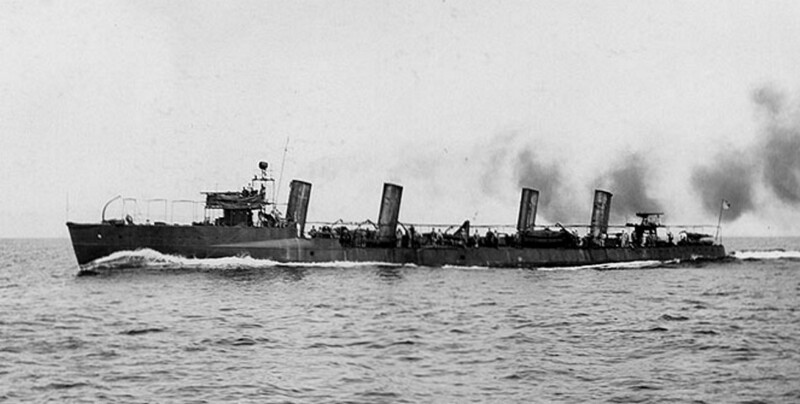 Decatur, Torpedo Boat Destroyer No. 5, running trials in 1902.